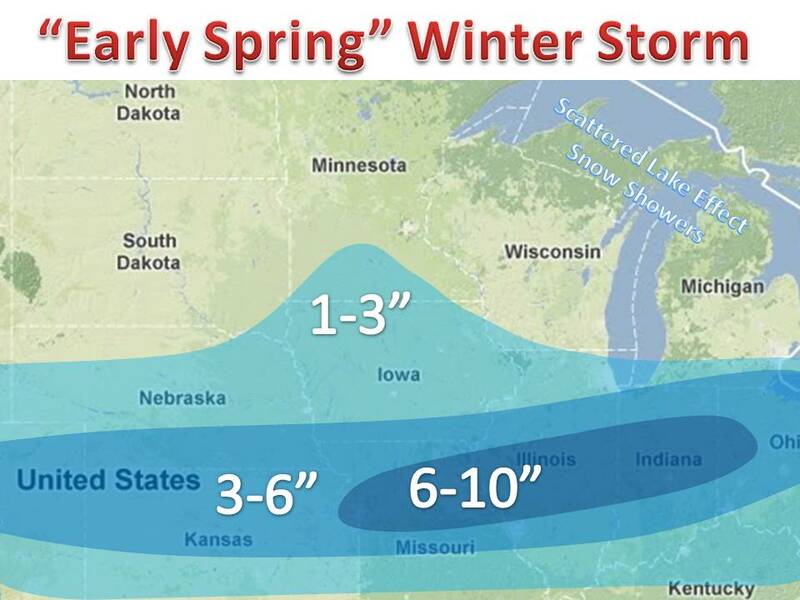 Winter Is not over yet, and it looks like the pattern will hold for 10 days or more. The jet stream is way south (one factor for the cold) and this will lead to a cross country winter storm dropping heavy snow from Denver to Boston. 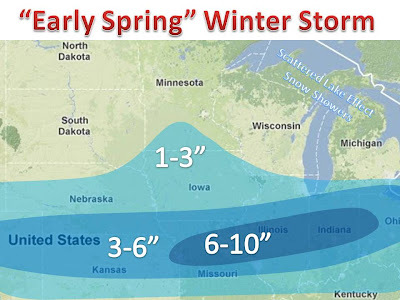 In the Midwest it looks like the heaviest snows will be in northern Missouri, up to 10" or 11" are possible in this area. The storm will start Sunday in linger into Monday night for some. Another disturbance will create an enhanced area of light snow in northern Iowa and southern Minnesota. Spring will come, once it does long term data suggested an above average one!